3. 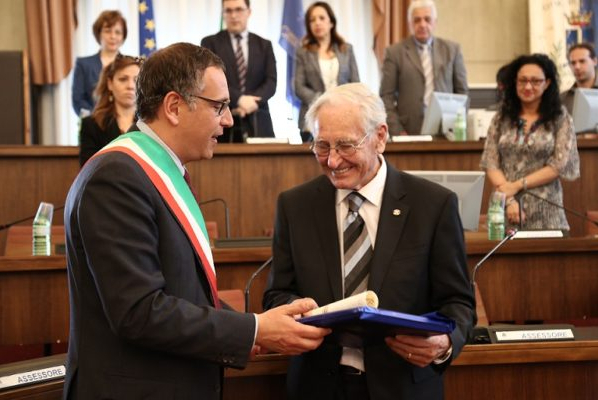 Roy Kerr, Professor of ICRANet: "An honor for me to receive the honorary citizenship of Pescara"
On Thursday June 9 ICRANet, with its headquarter in Pescara, has been the focus of an official meeting held in Yerevan in Armenia. 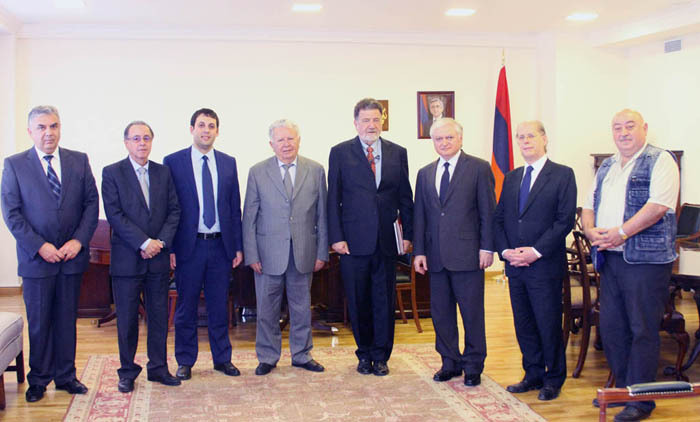 The Director of ICRANet, Professor Remo Ruffini, has met the Minister of Foreign Affairs of Armenia, Edward Nalbandian, together with the Ambassador of Italy in Armenia Giovanni Ricciulli, with the Ambassador of Brazil Edson Marinho Duarte Monteiro, acting as representatives of the member states of ICRANet, and with other personalities. 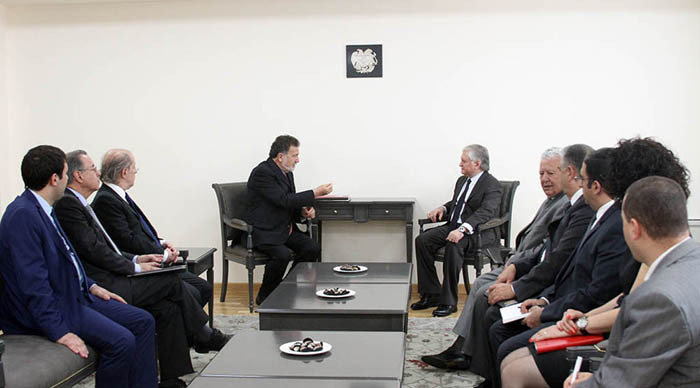 On this occasion the new Director of the ICRANet seat in Yerevan, Prof. Narek Sahakyan, has been introduced to the Minister of Foreign Affairs of the Republic of Armenia. Also the Armenian seat benefits of the extraterritoriality, privileges and diplomatic immunity, ratified by law by the President of the Republic of Armenia, Serž Azati Sargsyan. On this occasion it has been made official as well the entrance of the National Academy of Sciences of the Republic of Armenia among the institutes members of the international IRAP PhD program in relativistic astrophysics. Special attention has been given to the coordinating activities carried out by ICRANet Armenia in the scientific collaborations with Belarus, Kazakhstan and Iran, aiming to the possibility to have also these three Countries becoming members states of ICRANet. The Brazilian Ambassador has underlined to Minister Nalbandian that Brazil, as founding member of ICRANet, has coordinated from its seat in Rio de Janeiro, lines of research of scientists in Latin America: Argentina, Chile, Colombia and Mexico. For this reason important international conferences took place in 2015 in Brazil (http://www.icranet.org/2cl/), Colombia (http://www.icranet.org/1jg/), Mexico (http://www.icranet.org/1sv/), and public conferences have been organized with Institutions having cooperation agreements with ICRANet: Estação Ciências Auditorium - João Pessoa, Espaço Ciência - Recife, Instituto Federal de Educação, Ciência e Tecnologia (IFCE) - Fortaleza and Universidade de Brasilia. The Brazilian Ambassador in his speech has also referred to the creation of a data center of ICRANet in Brazil, the “Brazilian Science Data Center (BSDC)” to which the researchers can access from all ICRANet seats and from the entire Latin-American Continent. Special attention has been given by the Minister Nalbandian and by the Director of ICRANet to the forthcoming visit of the Pope in Armenia that will take place on Sunday, June 26. ICRANet intends to promote in the Middle East countries, with the support of Armenia and Vatican Observatory, which is representative of the Vatican State in ICRANet, scientific activities addressed to the understanding of the universe on the base of Albert Einstein’s equations. New activities have been planned exactly in the headquarter in Pescara, starting by this month of June, in cooperation with the seat in Yerevan and coordinated toward Middle East and Central Asia. 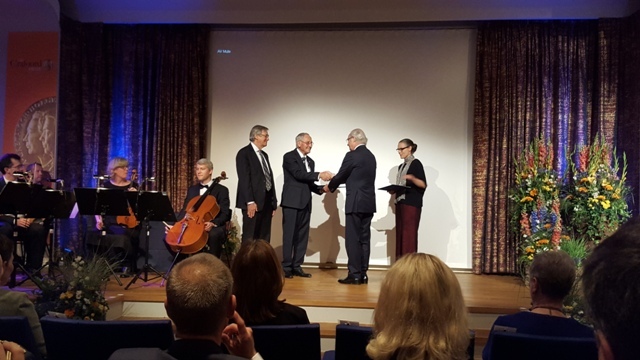 On May 26 Roy Kerr,Professor of the International Center for Relativistic Atrophysics of Pescara, received the Crafoord Prize by the King of Sweden. The Crafoord Prize, the highest honor for Astrophysics, is attributed by the Academy of Sciences of Sweden and is equivalent both prestige and for financial contribution to the Nobel Prize in Physics. Its aim is promoting international research in following fields: astronomy, mathematics, earth sciences, biological sciences and studies on polyarthritis. The award ceremony has been during the Crafoord Days that are celebrated every year in Stockholm. 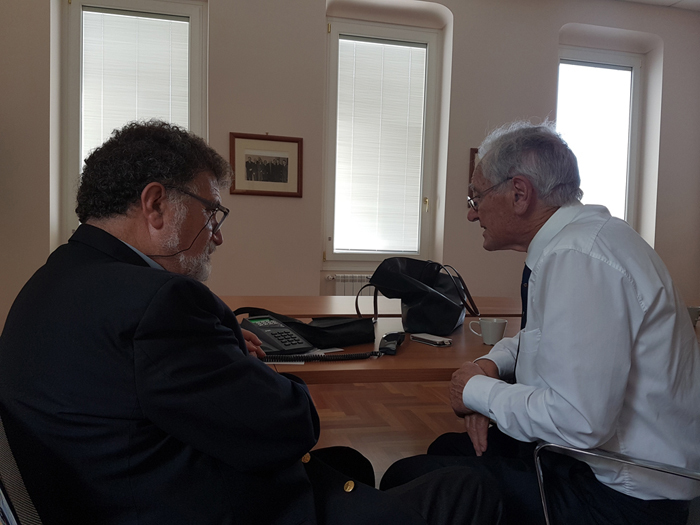 At this important occasion Professor Kerr went with Professor Ruffini, Director of ICRANet and colleague of Kerr. "Is an honor for me to be here today to accompany Roy Kerr" – adfirmed Ruffini. “Starting from his discovery of a solution of Einstein's equations, I and John Archibald Wheeler introduced this solution in the description of physical and astrophysical processes attributing them the name of "Blacks Holes. It's a great pleasure participate, in these days, at a particularly intense scientific exchanges with most important astrophysicists in the world. Particular attention has been given to the interpretation of the data, about gravitational waves, announced by Ligo." 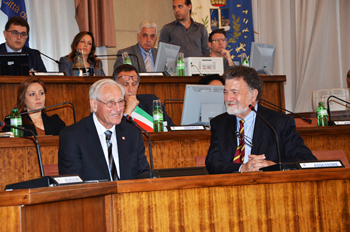 On June 6, during the Solemn City Council of Pescara, Roy Kerr, internationally renowned scientist and professor of the International Center for Relativistic Astrophysics Network, has Been awarded an honorary citizenship of Pescara. "It's an honor for me to be here today with all of you and be considered, from today, your fellow citizen" - affirmed Roy Kerr. "In my life e for my job i much travelled in the world, before in England, for a long time in Texas and to Pescara when Remo Ruffini founded ICRANet. This is a city where I always great pleasure to return not only to work but for also many friendships that I have cultivated in this city. I thank the Mayor and the entire City Council, for giving me this honour that confirms, even more, my link with this wonderful land." 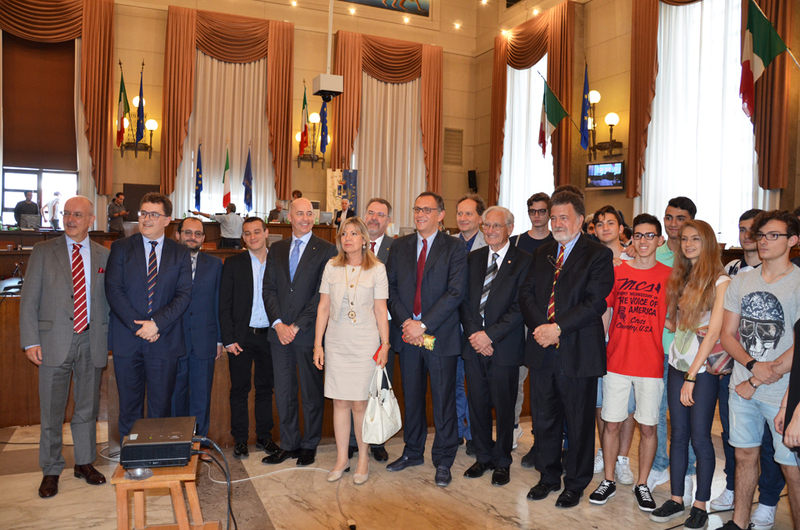 At the ceremony were presents Professor Remo Ruffini, Director of ICRANet, the professors, lecturers and students. Professor Ruffini declaired: "Our work, our research has been known and recognized in the world. Roy Kerr is the diamond point of our center, and is a privilege to have him in our faculty. His mathematical work permitted to me and John Wheeler introducing the concept of “Black Hole” that, today, rules science and culture of our planet. Pescara is our headquarter, with the extraterritoriality's state acquired thanks to Italian Government, is also a meeting place for researchers, scientists and young doctoral students from all over the world. I’ll work, with the collaboration of Roy Kerr, so that ICRANet may continue to increase and to develop in all offices: Pescara, Rome, Nice, Rio de Janeiro and Yerevan. Moreover we will work hard so ICRANet, important realty in this Italian region, continues to put in contact with citizens and institutions." "The territory of Pescara has the undisputed privilege of living in contact with the scientific culture, thanks to the seat of central coordination OF ICRANet. This is a circumstance that allows our city to constantly and deeply breath science and astrophysics. Every day these disciplines are enriched of the studies that illustrious scientists countinue for years under the sky of Pescara, to becoming the reference of international theories and discoveries. We decided to say a special thanks to one of them scientists, through the conferral of honorary citizenship of our city, for his extraordinary scientific activity. We want to concentrate in this gesture the appreciation for his passion, his researches and underline the message that love for science, in all its forms, find in ICRANet and in Pescara much more than a house: an engine in town renaissance, a nourishment for culture and science of our collectivity". 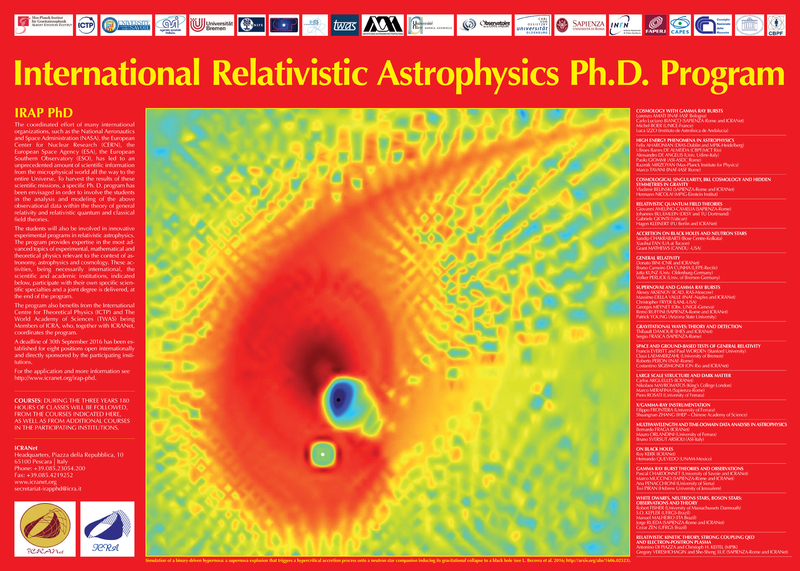 The International Relativistic Astrophysics Ph.D. (IRAP PhD) – Joint Doctorate Program sponsored by ICRANet. A deadline of 30th September 2016 has been established for eight positions open internationally and directly sponsored by the participating institutions. The coordinated effort of many international organizations such as the National Aeronautics and Space Administration (NASA), the European Center for Nuclear Research (CERN), the European Space Agency (ESA), the European Southern Observatory (ESO), has led to an unprecedented amount of scientific information from the microphysical world all the way to the entire Universe. To harvest the results of these scientific missions, a specific Ph. D. program has been envisaged in order to involve the students in the analysis and modeling of the above observational data within the theory of general relativity and relativistic quantum and classical field theories. 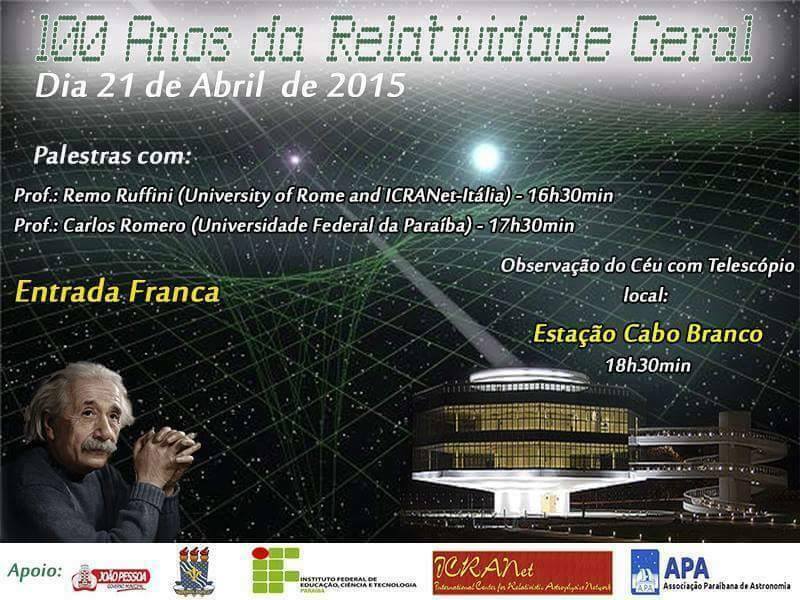 The students will also be involved in innovative experimental programs in relativistic astrophysics. The program provides expertise in the most advanced topics of experimental, mathematical and theoretical physics relevant to the context of astronomy, astrophysics and cosmology. These activities, being necessarily international, the scientific and academic institutions, indicated below, participate with their own specific scientific specialties and a joint degree is delivered, at the end of the program. The Institutions participating in the IRAP PhD are: the international organization ICRANet (Pescara, Rio de Janeiro and Rome) as coordinating institution and the University of Nice Sophia Antipolis as the host Institution; the Albert Einstein Institute, Potsdam (Germany); Indian Centre for Space Physics, Kolkata (India); Observatoire de la Cote D’Azur, Nice (France); University of Ferrara (Italy); University of Rome, la Sapienza (Italy); University of Savoie, Annecy (France). The Final Ph.D. degree will be jointly delivered by the Academic Institutions participating in the program. 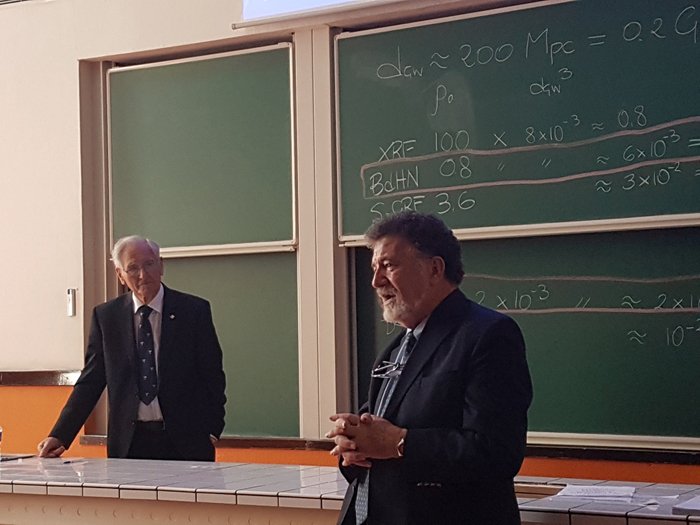 The 4th Bego Rencontres was dedicated to the New-Zealander Professor Roy Kerr, holding the Lifshitz Chair at ICRANet, in celebration of him being awarded the Crafoord Prize 2016 "for his fundamental work on rotating blacks holes and their astrophysical consequences". The school took place in Nice, where the EMJD IRAP-PhD is based. 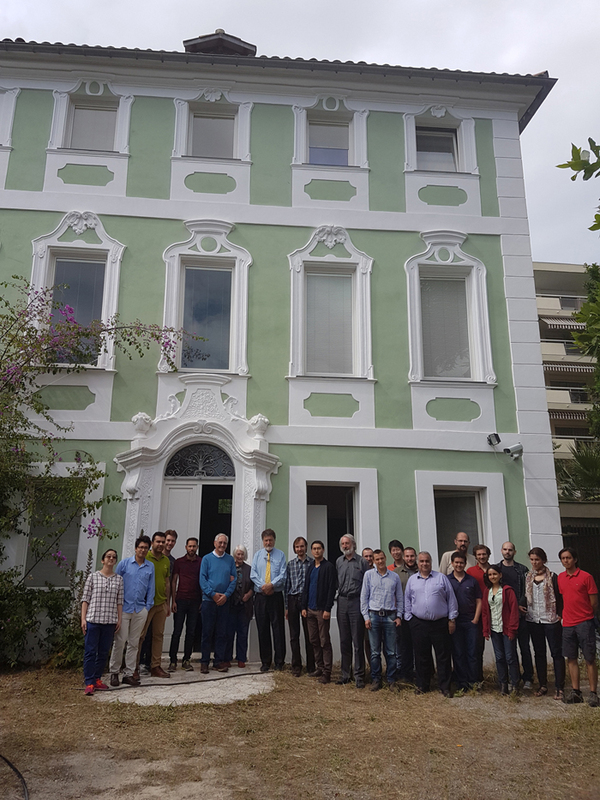 The lectures were held in Villa Ratti, the ICRANet headquarters in Nice, and in Parc Valrose, the seat of the University of Nice Sophia Antipolis. We recall that the EMJD IRAP-PhD is coordinated by ICRANet, involving various universities and research centers, and the diploma are jointly delivered by all the universities participating in the program: University of Bremen (Germany), University of Ferrara (Italy), University of Nice Sophia Antipolis (France), University of Oldenburg (Germany), University of Rome "La Sapienza" (Italy), University of Savoie (France). There were around 40 participants, including major scientists and grad students active in the fields of Physics and Relativistic Astrophysics, coming from Argentina, Brazil, China, Colombia, Croatia, France, Germany, Greece, Iran, Italy, Russia, and Serbia. 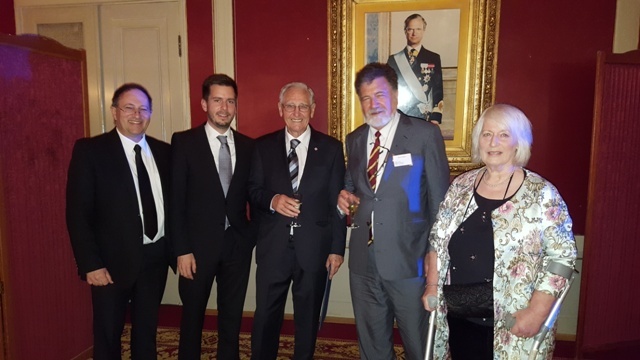 On May the 31st morning Professor Remo Ruffini, ICRANet and EMJD IRAP-PhD Director, officially opened the school celebrating Professor Roy Kerr being awarded the Crafoord Prize 2016 by the King and the Queen of Sweden. In his opening speech, Ruffini recalls how the discovery by Kerr in 1963 of an exact solution to the Albert Einstein’s equations on General Relativity of a rotating object has allowed fundamental unprecedented advances in the applications in the fields of Physics, Astronomy and Relativistic Astrophysics. It was indeed Remo Ruffini with John Archibald Wheeler who used the Kerr mathematic solution, introducing it in the description of the fundamental physics processes, giving them the name of "Black Hole", which has been then translated in all languages worldwide (Physics Today, 30, 1971). Later in the morning, Prof. Roy Kerr closed the morning session with a public lecture on his solution, followed in the afternoon by an interview from with a Italian newspaper “Il Centro” and its journalist Marianna Gianforte. 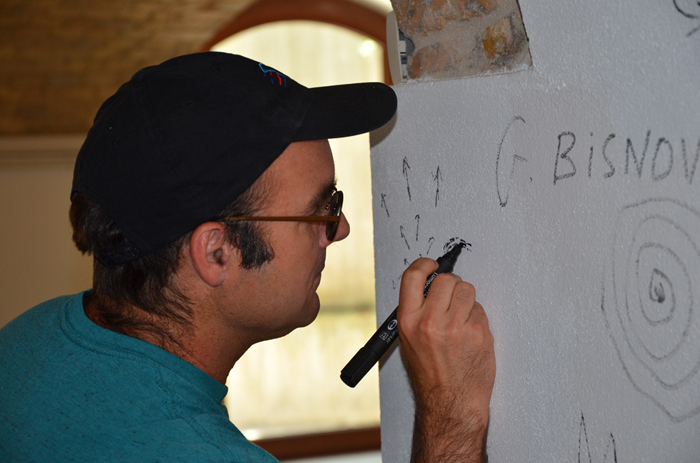 The celebration culminated the day after, with Kerr adding his own signature on the wall of Villa Ratti, see picture on the left, following the ICRANet tradition of collecting signatures from the major collaborating scientists, started in its seat of University of Rome "La Sapienza". At the school distinguished scientists presented advanced seminars and the IRAP-PhD students reported advanced results of their PhD theses. Among the main presentations, we recall the lectures of Prof. Kepler de Souza Oliveira Filho (UFRGS), Prof. Piero Rosati (University of Ferrara), Prof. Nikolaos Mavromatos (King’s College of London and CERN), and Prof. Volker Perlik (ZARM, University of Bremen). A further major event of the 4th Bego Rencontres has been the official awarding of the PhD title to the first cycle of EMJD IRAP-PhD students by the University of Nice Sophia Antipolis. The PhD Diplomas were delivered by the EMJD IRAP-PhD Coordinator, Prof. Pascal Chardonnet (University of Savoie, France). The school was jointly organized between ICRANet and EMJD IRAP-PhD, funded by the EACEA under the Erasmus Mundus framework program, Grant Number 2011-1640. 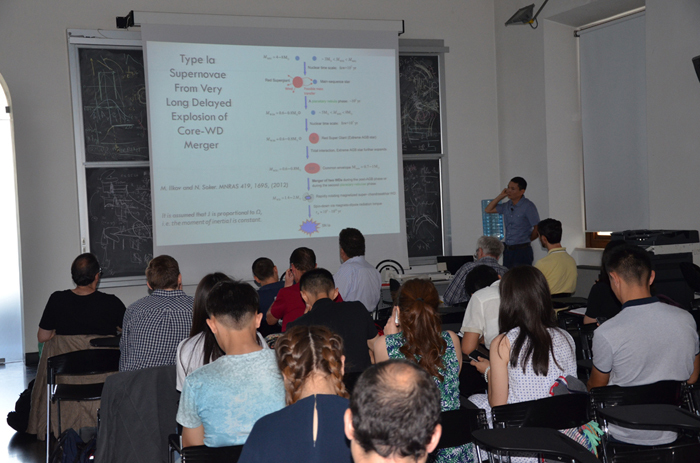 From 20 to 30 June the city of Pescara hosted, at the headquarters ICRANet in Piazza della Repubblica, the Adriatic Workshop "Supernovae, Hypernovae and Binary Driven Hypernovae". Experts in relativistic astrophysics from Argentina, China, Spain, Brazil, Germany, USA, Colombia, Armenia and Italy have presented the results of their research. The intense interaction between world experts in neutron stars core collapse and thermonuclear supernovae, hypernovae, binary-driven hypernovae and gamma-ray bursts, as well as gamma-ray astronomy and ultra high energy cosmic rays went on for two week. Both theoretical and observational aspects on the progenitor systems, population synthesis analyses, and the occurrence rates of such events were discussed. The different scenarios for type Ia supernovae and the role of white dwarfs in the single-degenerate, the core-degenerate and double-degenerate scenarios have been also discussed. A special session was organized on dark matter particles represented by massive fermions in the 30-100 keV region and their detectability in galactic halos. 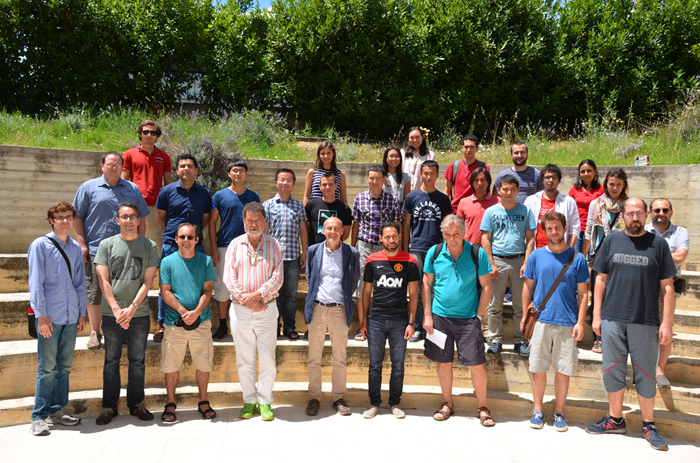 About 50 students from all over the world have decided to participate at the workshop and learned about the most recent advances in relativistic astrophysics.